Airzola Cleaves is originally from Baton Rouge, Louisiana. She obtained her Bachelor of Arts’ degree in Political Science with a minor in German from Berea College in Berea, Kentucky. After she graduated, Airzola attended and obtained her Juris Doctorate degree from Louisiana State University. 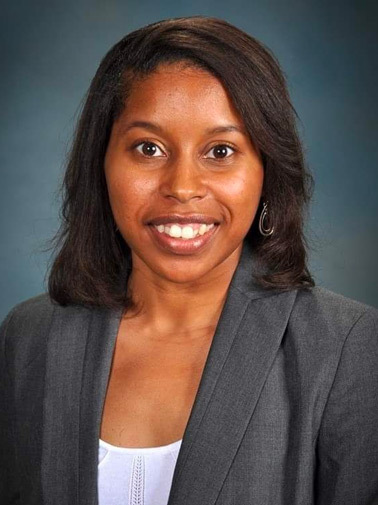 While she attended Louisiana State University, Airzola was a member of several Trial Advocacy teams, and she received a CALI award for Legal Research and Writing. In October 2010, Airzola was admitted to practice law in Louisiana. Shortly after she was admitted to practice law, Airzola worked as a Staff Attorney at Acadiana Legal Services in Lafayette, Louisiana. While there, she represented victims of domestic violence in protective orders, divorces, custody matter, and other legal matters. Airzola also served on the Lafayette Domestic Violence Council, whose mission was to develop and promote initiatives to reduce domestic violence. Airzola left Acadiana Legal Services and entered the private sector for several years. When she worked in the private sector, she worked on a variety of cases in the areas of immigration, mass torts, and workers’ compensation. In December 2017, Airzola joined STAR as a staff attorney.